HanDee Nail Tips: G-G-G-GRADUATION BALL! So here at HanDee we have come to the end of our university experience. It's been an amazing 3 years all leading up to our Graduation Ball (and ceremony, though this is a lot less glamorous!). Though the Ball was slightly less than expected, the initial girly getting-ready session of hair, false lashes, make-up and all that jazz was loads of fun! The highlight of the whole period being the painting of the nails of course! 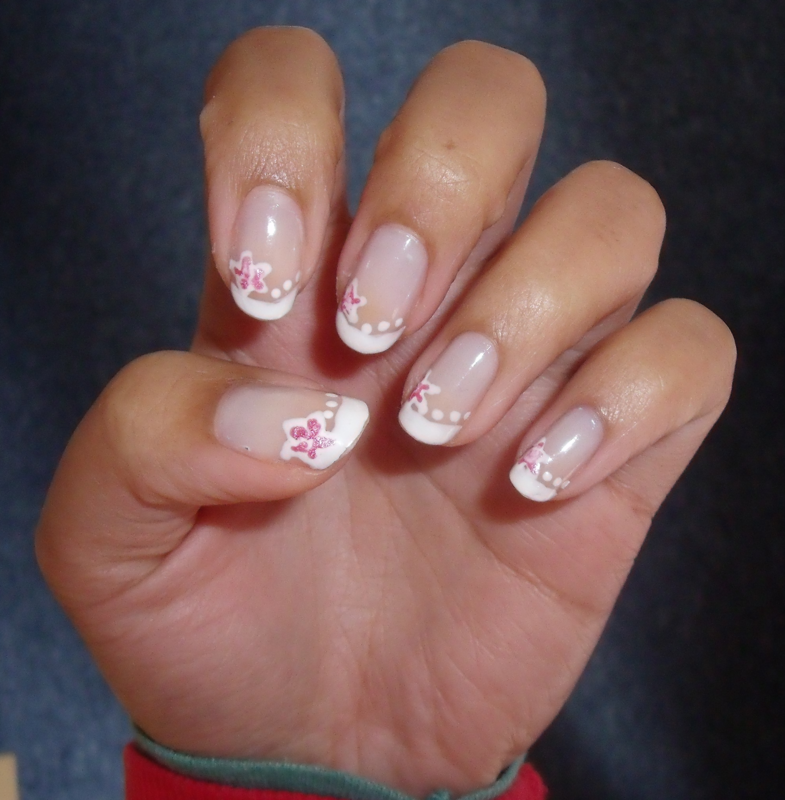 So here are the nails I had for the big day! Just a simple manicure to go with a simple and (hopefully!) elegant look! 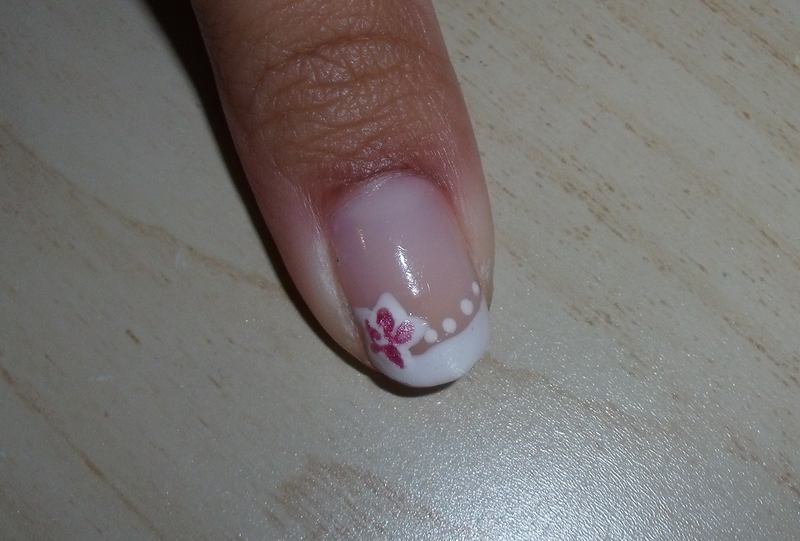 All you need are white and a pink nail art pens and a clear cover coat. Paint the tip of your nail white - they'll need to be long for this to be most effective! And then paint on a star shape to the right of the top of your nail again in white. Use the white nail art pen to then paint on small dots next to the stars. Once all the white is nearly dry but a little tacky, paint on your pink detail inside the star blending with the white a little and finish off with a clear cover coat! Beautiful! This nail art was so simple and easy to do, perfect for a classy occasion or even when you want to spice up your nails but don't want to go too over-the-top!